This summer will mark the centenary of one of World War One’s most infamous battles – Passchendaele. 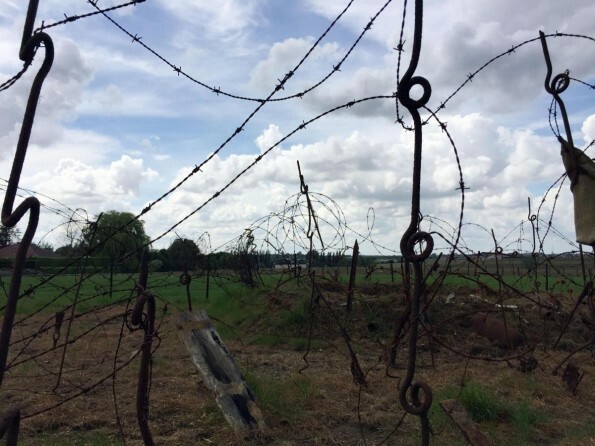 Ahead of the anniversary, David Young journeys to Belgium to explore a still scarred landscape where 100 years ago his grandfather was wounded in action. He is surrounded by crowds, yet the pensioner strikes a solitary figure beneath the neoclassical arches of Ypres’ Menin Gate, his grandfather’s medal pinned to his left breast, as he honours a man he never got the chance to meet. My trip, like his, is personal. 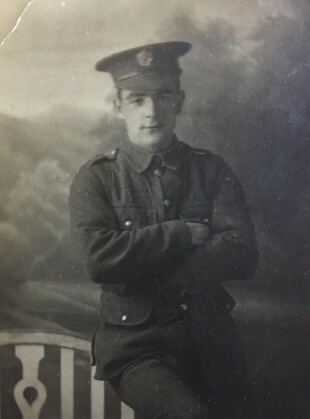 My grandfather – Sapper William John Young – survived the war and I’m now in the corner of Belgium where, 100 years ago, he was seriously wounded during a battle that serves as a byword for the horrors of the Western Front – Passchendaele. Around 500,000 men were killed or injured on both sides in the cloying Flanders mud during three-and-a-half brutal months in 1917, when blood and rain soaked the trenches. For those colossal losses, the front line moved a mere five miles. This year the centenary will be marked by a range of ceremonies, exhibitions and events across what is now a tranquil rural idyll. 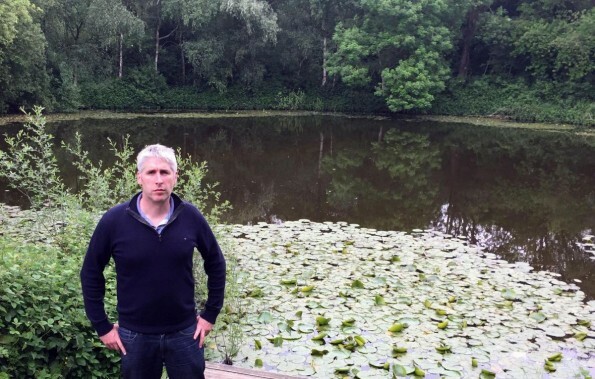 The fight for Passchendaele village was but one of a series of major conflagrations on the Ypres Salient through the course of the war – four years that saw countless perish for a stretch of land you could now traverse in a brisk morning walk. The Commonwealth forces alone lost 185,000 lives in the area between 1914 and 1918. The names of 55,000 whose bodies were never found are engraved on the white Portland-stone walls of the Menin Gate. Another 48,000 missing are listed on two other memorials in the area. Before I retrace my grandfather’s steps over the hills where so many still lie, lost to the earth upon which they fell, I leave the shadow of the Menin Gate to venture further into Ypres – a town resurrected from the ashes of war. Obliterated by shell bombardment, the task of piecing Ypres back together began in 1918 – and it would be 50 years until it was complete. Turning in a slow circle as I scan the charming mix of late Medieval, Renaissance and Gothic facades that envelope the cobbled main square, it is staggering to think it’s all a 20th century construct. One of the most impressive rebuilds, the Cloth Hall – its Belfry tower standing sentinel over the town below – is now home to the In Flanders Field Museum. 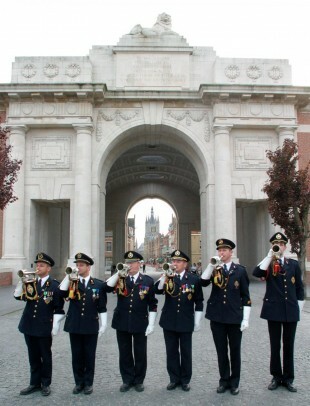 It is one of three standout museums in the area, along with The Memorial Museum of Passchendaele in nearby Zonnebeke, and the privately-owned Hooge Crater Museum. Heading north-east, I begin charting the ill-fated Allied push toward the German lines. An advance artillery bombardment that destroyed the drains, combined with the wettest summer in 70 years, produced the putrid, life-sapping mud forever associated with Passchendaele. Many soldiers drowned in thick pools of sludge that filled the shell craters pockmarked across No Man’s Land. With the ground holding firm as I try to drive my heel downward, I struggle to visualise the scene 100 years ago. This wasn’t just another century away; it was another world. It was not the mud that ended my grandfather’s war, or the hail of machine gun, or shell fire barrage. It was poison gas. The Germans waged chemical warfare for the first time at Ypres in 1915 and they would do so again two years later – the Allies having deployed the same merciless tactic elsewhere in the interim. “WOUNDED GAS” is how the service record of Sapper WJ Young of the 121st Company, Royal Engineers, records the life-changing injuries he sustained on August 13, 1917. As I scan the fields where gas-filled shells once fell like noxious hail, I contemplate whether a man evacuated from a furnace engulfing the front, with lungs excoriated by poisoned fumes, was lucky or unlucky? 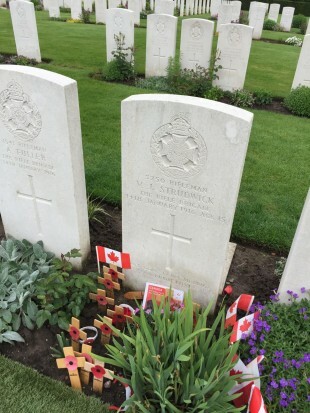 Close by, I stop at the graves of two war poets killed on the battle’s first day – July 31. Francis Ledwidge, from Ireland, and Welshman Hedd Wyn are buried only yards from each other in Artillery Wood Cemetery. A slight detour southward and I am standing in Messines, at the foot of an Irish round tower built in tribute to the soldiers from the mainly Protestant/unionist 36th Division and the Catholic/nationalist 16th Division who fought together in 1917 in a symbolic link-up that resonates to this day. Three years previously, the valley was the scene of the celebrated Christmas truce of 1914, when German and British soldiers sang carols, swapped gifts and kicked a football. The gains won on the Messines Ridge on June 7, 1917 – a key prelude to Passchendaele – were secured after the simultaneous early morning detonation of 19 huge underground mines placed under German lines. The vast craters punched out of the earth still bear testament to the geographical wounds the war wrought. Passchendaele finally fell in November 1917. 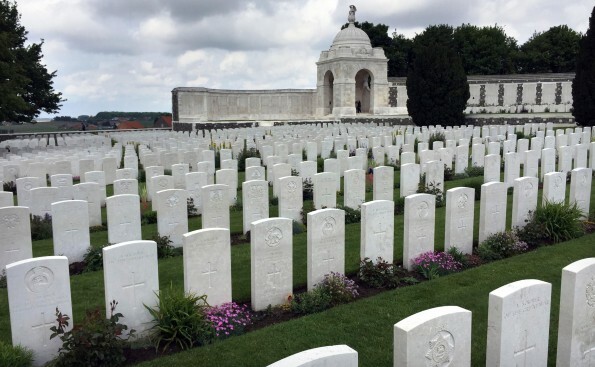 The price paid for its capture is cast into stark relief amid the 12,000 headstones of Tyne Cot, the largest Commonwealth cemetery in the world. Also at Langemark’s German Military Cemetery, where 44,000 lie, mostly in two mass graves. It is a sentiment demanding of reflection by those who visit 100 years on. The sea of names engraved throughout Flanders Fields deserve no less.